The February Full Moon occurs on Magha Purnima – in the panchang, the full moon (purnima) of the month of Magha – when the full moon occurs in the nakshatra by name Magha (January-February) under the rulership of Ketu, the seeker of moksha, release from the cycle of birth-death-and-birth-again. This Full Moon takes place in Leo as 9th house from the Ascendant, Sagittarius. The 9th is a dharma house, dharma being the foundation, the right ordering and rightwise direction of all life in all the worlds. Having emerged from the Creative Source of The All, all life is on a journey of eternal return to its Source, wherein evolution becomes involution. The All becomes itself again, and this is indicated by the dharma of the 9tth house. The Sun, Lord of the 9th, is the second significator of the soul, and usually, the indicator of how the ego will take control of affairs this lifetime. The Sun is aspecting the Moon 100%, right from where the interior locution of “I am” is uttered. This “I am” self-centric identity is formed by thought-streams emitting from The Grand Central Sun, then the Series of Suns emitting the energies of Ascension to higher dimensions, right to our own galaxy and our own Star, Sol. 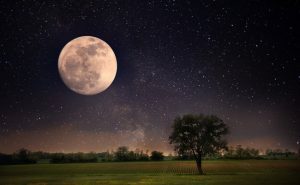 In Vedic Astrology if we look to the higher energies that come from the Moon, the we find that it rules the mother and her welfare; it is the presiding deity of the mind, rules the emotions, tenderness, bodily health, and beauty. The Moon also rules intelligence, places where water is found, liquids in the body, and has a central role in the development of the family. It is in the family where we experience closeness to others, children, love, warmth, compassion and bonding to others. When we find the Moon in a dharma house, the Moon – as presiding deity of the mind – will follow dharma. In this instance, the Moon receives benefic aspect from its Lord (the Sun, trikona Lord), the second significator of the Soul. It is also in a dharma trikona (1st, 5th, 9th signs) with Saturn, Venus and Mars. This multplies the energies of dharma within the mind, body and spirit. It is a time to recall that all forms of life follow dharma, the rightwise ordering of life in the Universe. We speak of mineral, plant, animal and human forms of life. This includes Mother Earth herself (sometimes called Bhu-devi or Gaia). We also include the elements (fire, earth, air, water, akash) as forms that follow dharma. Where dharma has been thwarted, torn asunder, ignored and allowed to fall by the wayside and be forgot, the very foundation of life forms in the Universe causes life itself to follow dharma. Mother Earth may have earthquakes, tsunami, tectonic plate movements and rearrange the elements on the surface in order that life may thrive once again. The elements may combine to restore dharma on a firm footing; the waters may rise up, the rocks and stones may fall anew to create earth-flourishing and human-flourishing once again. This means that dharma itself will protect those who uphold it, will protect those who protect dharma itself. If we choose to live a life guided by the principles of Dharma, then we are assured of that protection. A duty is imposed on those who seek such protection from Dharma, and that duty is to take care that this universal foundation of life is not in any jeopardy. Full Moons are times when strong and plentiful energy floods the Earth. This energy, directed by the Full Moon – may be taken and used for benefit. Hence, the Hierarchy offer us the choice to harness energies for planetary benefit by doing group meditation and directing energy in the form of love, light or healing, wherever there is a need. There have been many places experiencing disturbances on Earth in the past month. It has been a time of heavy rains in Zimbabwe, heavy rain and flooding, above average crashes and high-water rescues around the Las Vegas, floods and landslides hit Peru and take lives. After days of extremely heavy rain falling over Queensland, Australia this month, Flinders River has grown to a ‘mega river’ and is now 60 km (37 miles) wide in some of its parts. This is its most significant flooding in more than 50 years and so vast it creates its own weather. 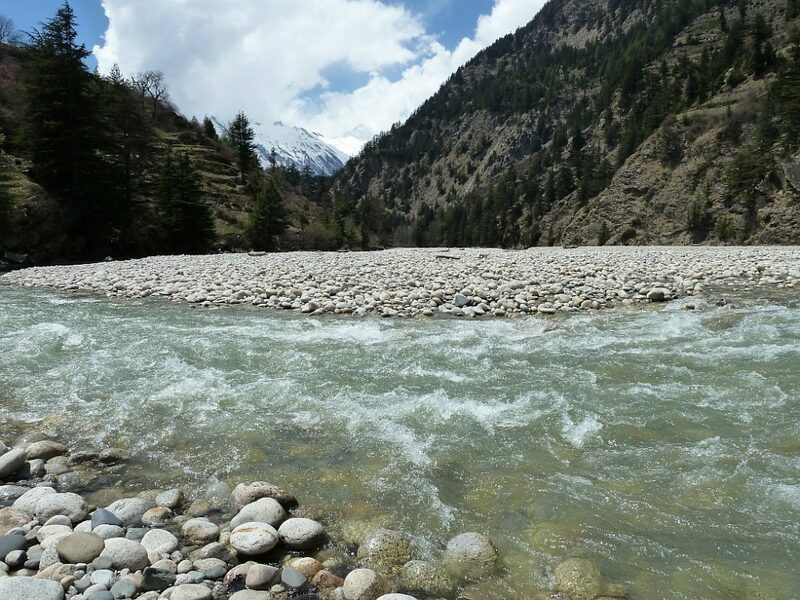 Pakistan’s mountainous areas received heavy snowfall in January 2019, helping the country whose fresh water is running out at an alarming rate. Tailings dam burst in the Amazon threatens the livelihood of those who survived. Question: How do I turn within? Reply: Go inside in any given cell. Choose any one cell and concentrate on it. Question: Can I take a cell in my knee, for instance? Reply: Yes, cellular consciousness is one and the same in every cell of your body and Atmic consciousness is one and the same in every cell on earth. Visualise a schematic picture of the cell. Take an ellipse form, and realise that this ellipse is infinitesimally smaller than the one you visualise. Now visualise in the cell, space as you know it – the universe with all its stars and planets. Then visualise in that space an infinitely small point, turned upon itself. Question: A sort of black hole? Reply: Yes, a sort of black hole, but then one which gives energy. That is the Atma-point. Visualise the Atma-point in each cell as a reversed black hole – as the source of everything. Comment: When I close my eyes and try it, I see a black sky with stars and one tiny point from which energy gushes up as a sort of fountain. Reply: Go now to a cell of your throat. Question: The space there is much lighter. It is as if the sun is shining there. Reply: You have arrived at the throat-chakra. In essence each cell in itself is a power-station of energy. But in the chakras there is a large assembly of energies. From now on do this exercise at the end of each morning and evening meditation. That is the way to unity. Try to do it as often as possible. You can do it more often if you feel like it. It is always possible; in any place, at any time, during any activity. It is not about your knee though, or about your throat or any other body-part. It is about each individual cell, which is enormously magnified in order to visualise it, but which you know to be infinitesimally smaller. You may also concentrate on the atoms in the cells. For what you really concentrate on is neither cell nor atom. You use these ideas as metaphors for what it is really about. It is really about the Atma, which is in every atom, in every cell, in every being. The Atma is the all-penetrating force which cannot be expressed in an earthly substance, but which gives existence to all that is.